FlagScapes® are a unique, dynamic and inexpensive way to display photos of your favorite landscapes! 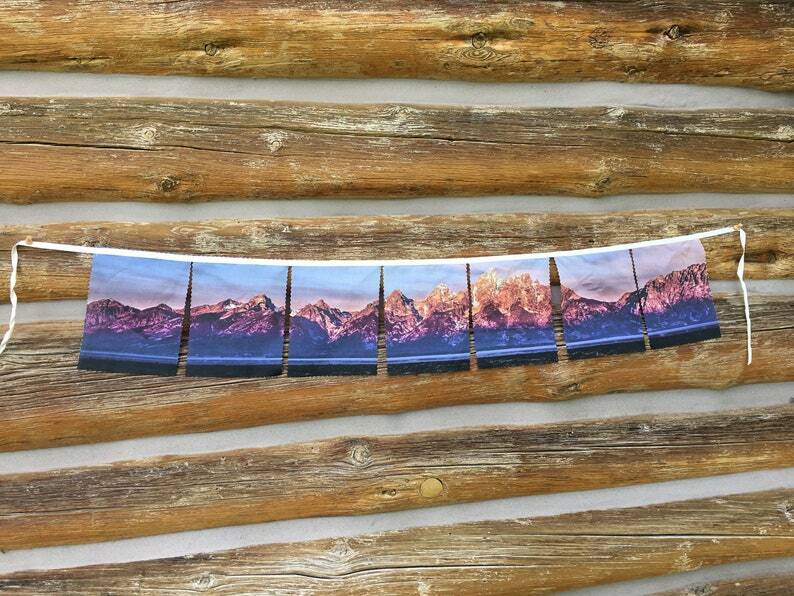 We live in Wyoming so we started with the Grand Teton Mountains - the flag format lends movement to the iconic vistas, and they look great in homes, dorm rooms, offices or hanging in your camper! We do custom designs - contact us to see what we can do! We will be adding more landscapes. The flags are printed with Soy ink on 100% cotton fabric. The package may look like plastic, but it's not - its a 100% compostable EcoBag®!